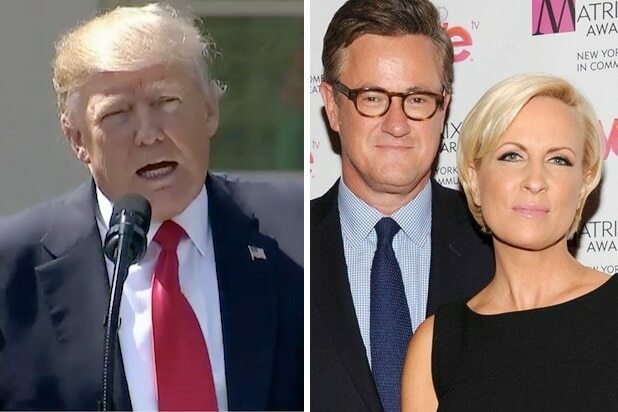 MSNBC’s “Morning Joe” welcomed New York Times reporter Jeremy Peters to the show on Wednesday, where he accused President Trump of “cyberbullying” Attorney General Jeff Sessions. Trump has taken to Twitter to mock Sessions in recent days while continuing to say he’s disappointed the Attorney General recused himself from the investigation regarding Russia potentially meddling into the election. “In distancing himself from Sessions, well actually, what I will describe as cyberbullying, he’s cyberbullying Sessions into what he hopes will be his resignation because he won’t say it to his face,” Peters said. Speaking of cyberbullying, Trump called out a Republican Senator by name on Twitter on Wednesday morning for not voting the way he wanted regarding healthcare.